Several elected officials say some of Missouri's top leaders tried unsuccessfully to pressure Ferguson Police Chief Tom Jackson to resign after the fatal shooting of Michael Brown. As St. Louis residents nervously await a decision regarding Michael Brown’s shooting death, St. Louis County Executive Charlie Dooley had a simple piece of advice. “Take a deep breath, stand back and calm down,” Dooley said. 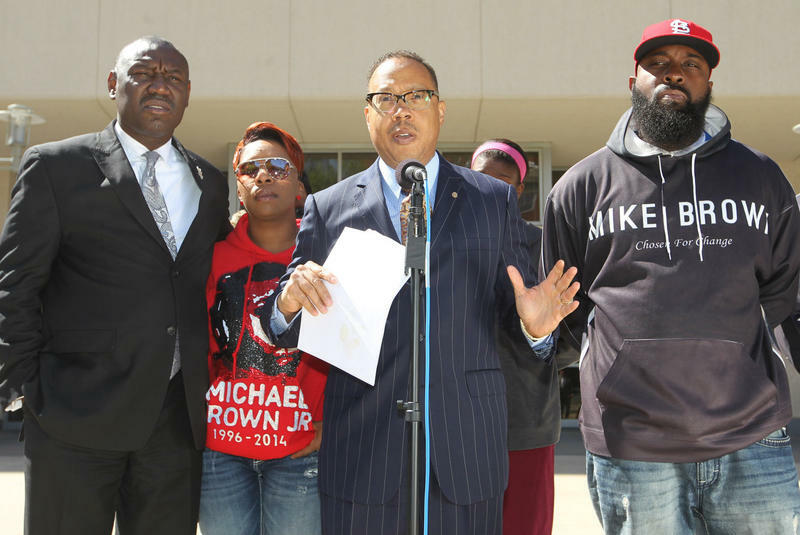 Dooley and St. Louis Mayor Francis Slay told reporters on Wednesday that law enforcement agencies are prepared to protect lives and property – and the rights of protesters – if Wilson isn’t charged with Michael Brown’s shooting death. A federal judge in St. Louis has ruled that police in Ferguson cannot enforce what became known as the "five-second rule." 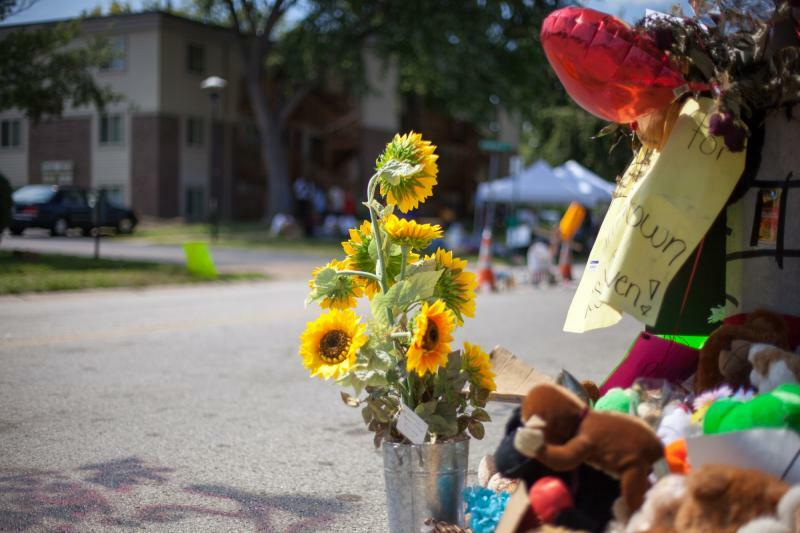 The cost of extra policing in Ferguson after rioting and looting that followed the police shooting death of an unarmed 18-year-old could cost local, Missouri and federal taxpayers millions of dollars. 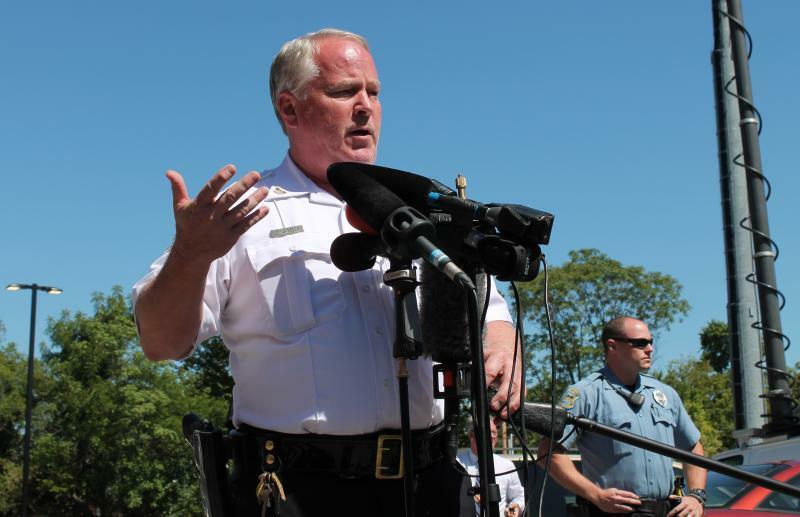 St. Louis County Chief Operating Officer Garry Earls estimates the county spent $1.5 million in police overtime to deal with unrest in the St. Louis suburb since Michael Brown's death Aug. 9. 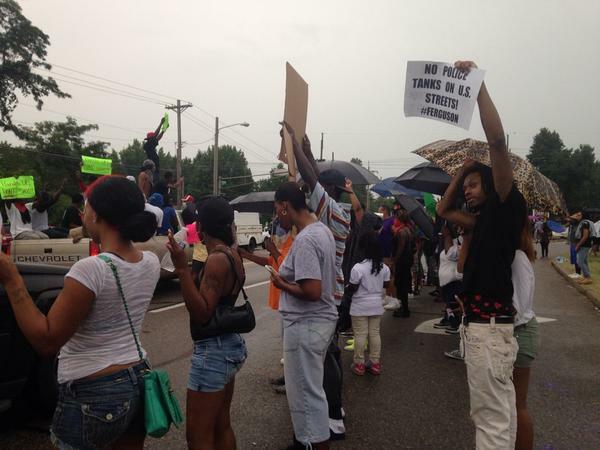 The local chapter of the NAACP sponsored a rally Thursday in support of Michael Brown's family. The rally took place at the amphitheater next to the Boone County Courthouse in Columbia. 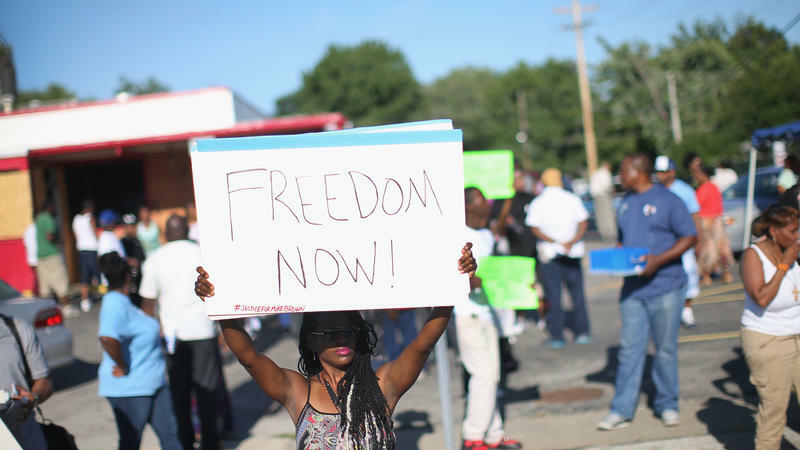 So much has happened in Ferguson, Missouri. Nearly a dozen reporters have been arrested while on the job. 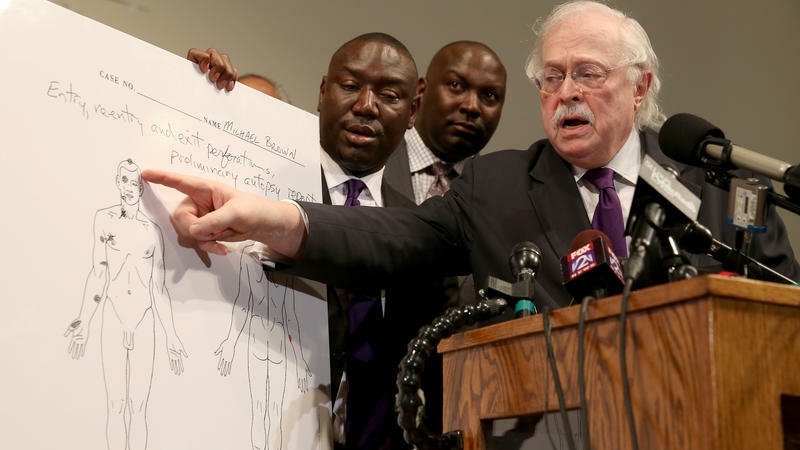 We've learned the identity of Michael Brown's shooter: six-year police veteran Darren Wilson. St. Louis NBC-affiliate KSDK-TV aired video of his home. Governor Jay Nixon instituted -- and lifted -- curfews and called in the Missouri National Guard. And we saw it all live -- online, on air and in print. 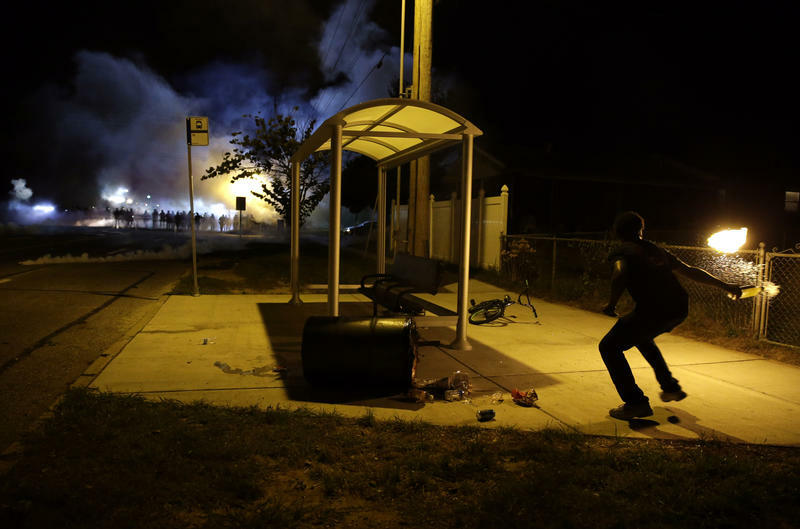 On Monday night, protesters clashed yet again with police in Ferguson, Mo., the St. Louis suburb where Michael Brown, an unarmed black teenager, was shot by police Aug. 9. National Guard troops deployed by Gov. 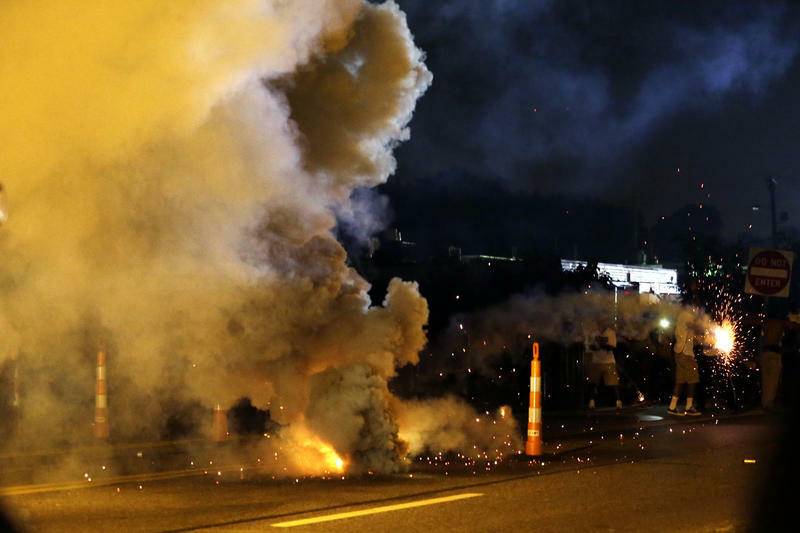 Jay Nixon didn't get involved, and the officer in charge of security in Ferguson said police came under fire and were targeted by Molotov cocktails. 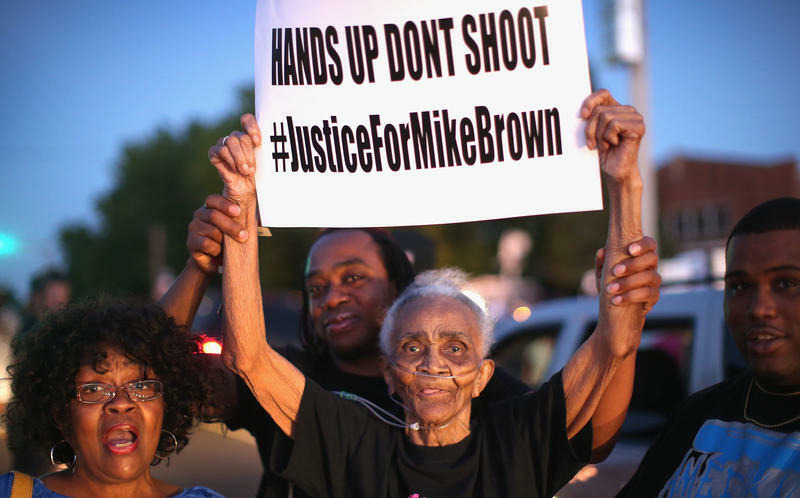 For more than a week now, Missouri citizens have gathered in the city to protest the police department, the killing of an unarmed teenager and racism within the community. 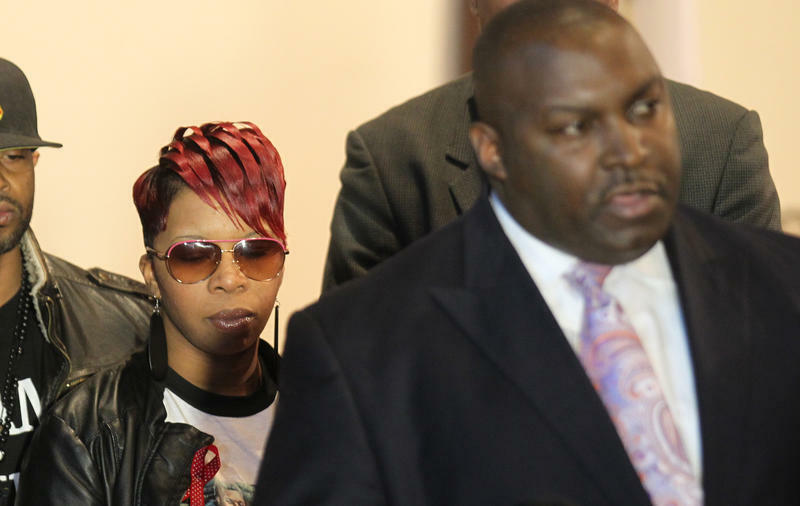 At least six bullets hit Michael Brown, 18, when he was shot to death by a Ferguson, Mo., police officer, according to a preliminary private autopsy report. Only one of those wounds — to the top of the teenager's head — was deemed not survivable by former New York City chief medical examiner Dr. Michael Baden. Baden and another pathologist hired by Brown's family say they believe that the two bullets that struck Brown in the head "were most likely the last two" to hit him during a confrontation on a street last Saturday. 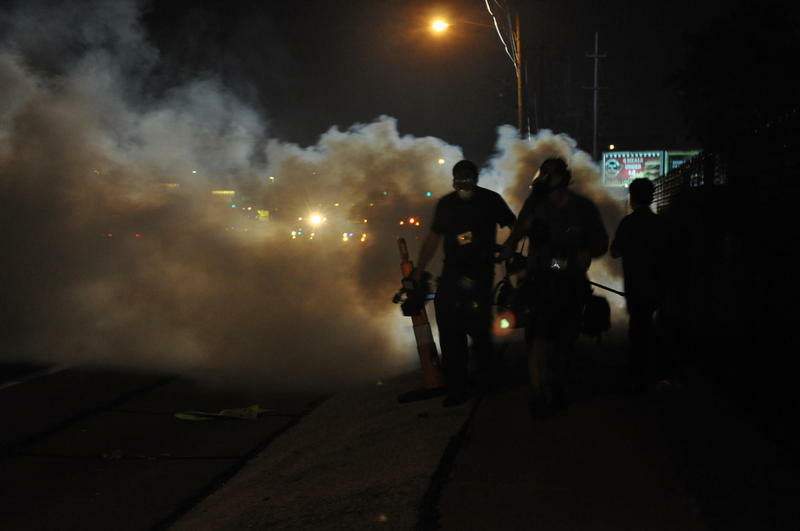 One man is in critical condition from a gunshot wound after a group of protesters in Ferguson defied the curfew imposed at midnight Saturday. Missouri State Highway Patrol Capt. Ron Johnson said police used smoke canisters and finally tear gas to disperse the group so that they could reach the gunshot victim. 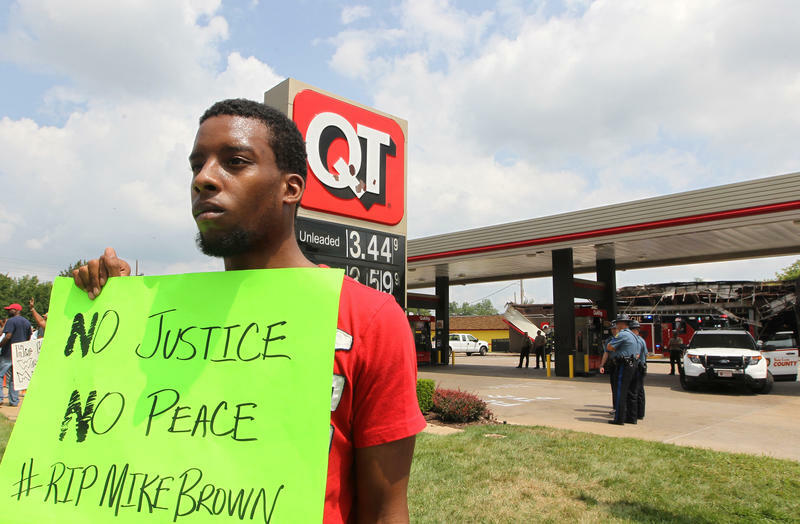 Johnson said the victim was found near the burned QuikTrip gas station that has become a staging area for many of the protests over the past week. Protesters transported the victim to the hospital in their own vehicle, Johnson said. Updated at 1:19 a.m. ET, Sunday. Hundreds of demonstrators went home peacefully as a midnight curfew approached in Ferguson, Mo., but "a couple hundred defiant protesters remained," reports the Associated Press. The crowd was gathered in the St. Louis suburb at the site where 18-year-old Michael Brown was shot and killed by a white police officer. A 24-hour period of calm was broken early Saturday when police returned to the streets in riot gear and some protesters began looting stores and breaking car windows. 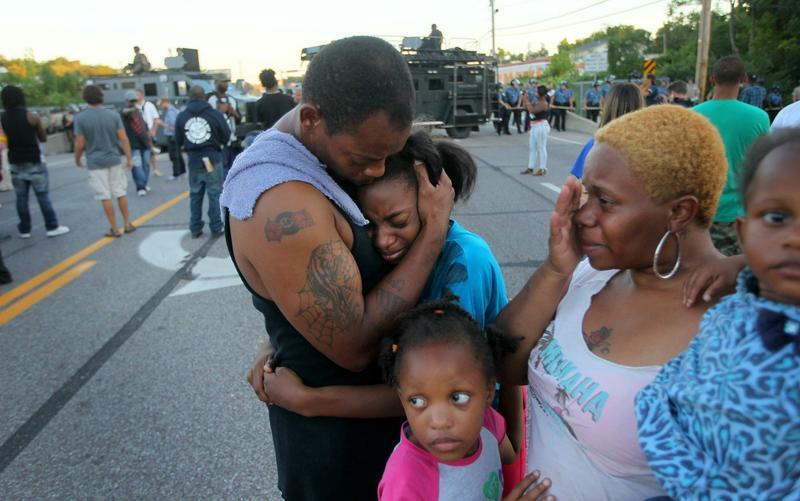 The St. Louis Post-Dispatch reports that a festive atmosphere reigned for most of Friday night, as hundreds of people lined a busy Ferguson street, the site where a police officer fatally shot an unarmed black teenager nearly a week ago. 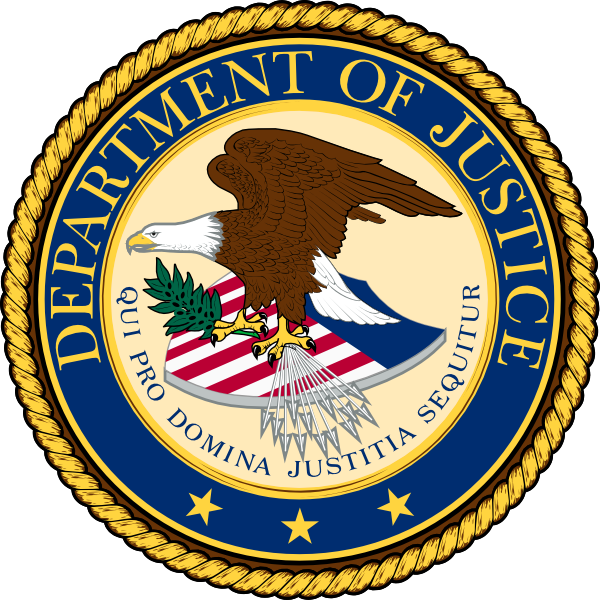 The family of a Missouri teenager fatally shot by police is asking the U.S. Department of Justice to oversee a second autopsy. 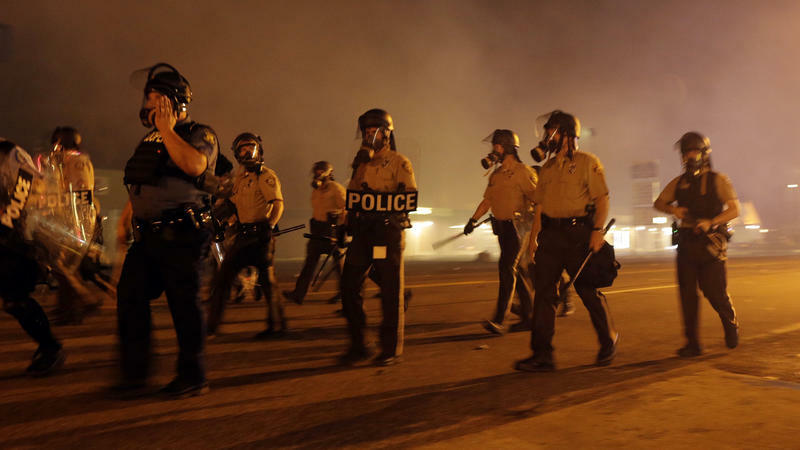 In the days of protests that have followed the shooting of unarmed black teenager Michael Brown in Ferguson, one fact has been repeated over and over again: Of the 50 or so police officers on the Ferguson Police Department, just three are African-American. That means a majority white police force patrols a community that, according to the 2012 census estimates, is two-thirds black. A police officer's killing of Michael Brown, 18, in Ferguson, Mo., has ignited racial tensions in a town whose population is two-thirds black — and whose police force reportedly has three black members. Some black residents say that long before Brown's death, they saw the police as a potential threat. "It's the constant pressure of every time a police officer gets behind us, we're gripping the steering wheel," Anthony Ross, 26, of neighboring Berkeley tells NPR's David Schaper. He added, "Everything on the car is right." This post was updated at 5 p.m. ET. 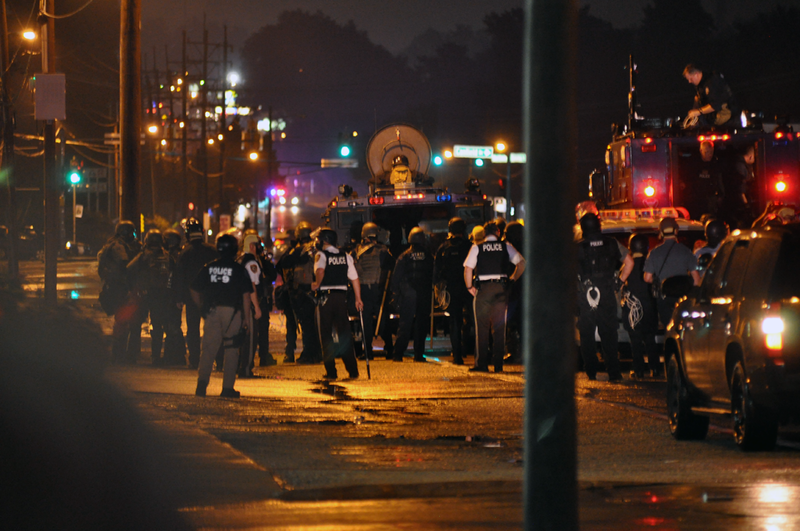 The Missouri State Highway Patrol will now supervise security in Ferguson, Gov. Jay Nixon announced at a news conference Thursday. 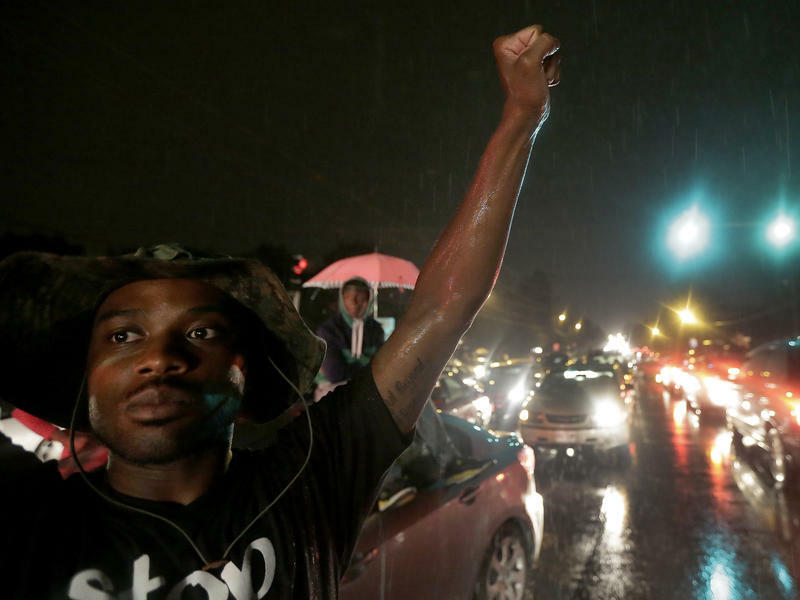 Protesters have clashed with police since the shooting of unarmed teen Michael Brown on Saturday. "For the past several days, we've all been deeply troubled by this crisis," Nixon said, "as the pain of last weekend's tragedy has been compounded by days of grief, and nights of conflict and fear." The police chief of Ferguson, Mo., says his department has made race relations a "top priority," after a shooting of an unarmed black teen sparked days of protests. Another man (this time armed) was reportedly shot by a St. Louis County police officer early Wednesday after police responded to reports of shots being fired. 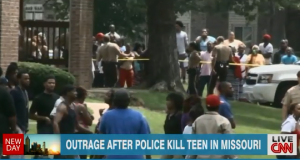 A police officer Ferguson, Missouri fatally shot an unarmed teen. 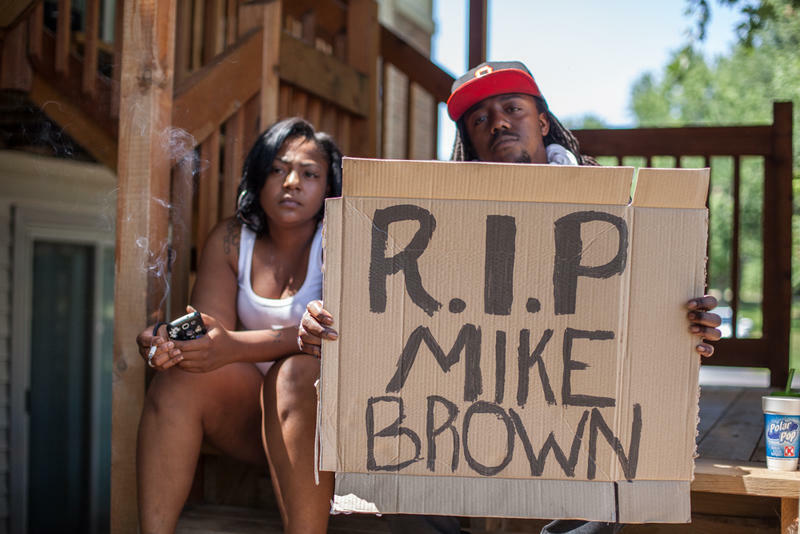 Was race a factor in the death of Michael Brown? Or has the framing of the story by local and national journalists made it one? Also, keeping reporters safe during violent protests, the role of citizen journalists and hashag activism in the aftermath.